I was excited when I discovered this book at the library, since “Feliz Navidad” is one of my favorite Christmas Songs. (Go ahead and click the video to listen while you read.) 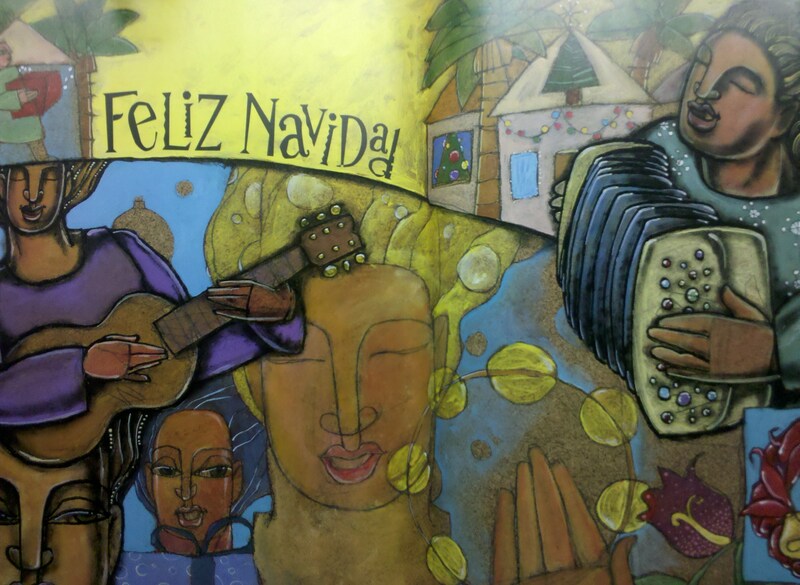 In the book, José Feliciano’s Feliz Navidad the reader almost sings along as the lyrics are slowly written on the pages. José Feliciano was born in Puerto Rico and moved to New York at a young age. He wrote “Feliz Navidad” when he was homesick during the Christmas season. Feliciano was born blind, but that didn’t stop this songwriter who won six Grammy Awards with more than sixty-five albums. 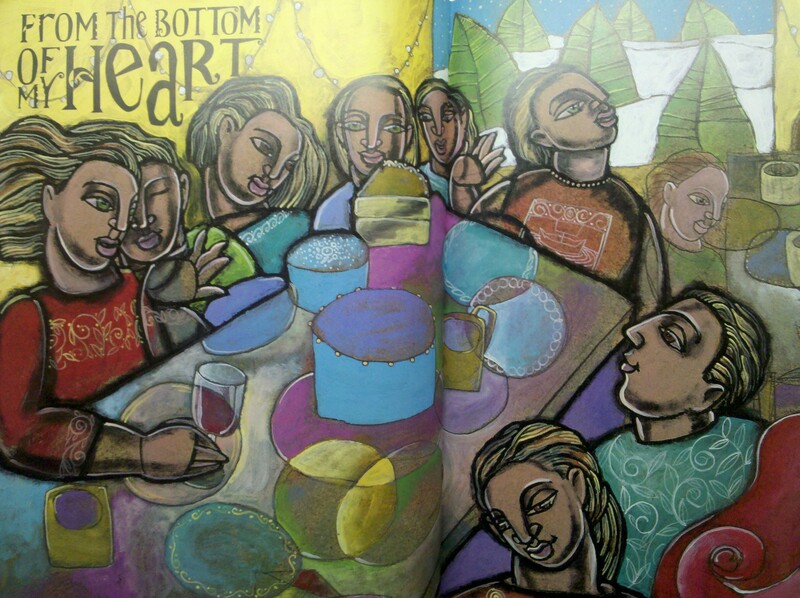 The book describes a parranda that is a Christmas tradition in Puerto Rico. A parranda is basically a caroling parade when neighbors and friends surprise each other from house to house with small instruments. The festive parade lasts hours and moves through the neighborhood with singing, dancing, and food. At the end, there is a huge feast and cookout often with a roasted pig that brings everyone together. 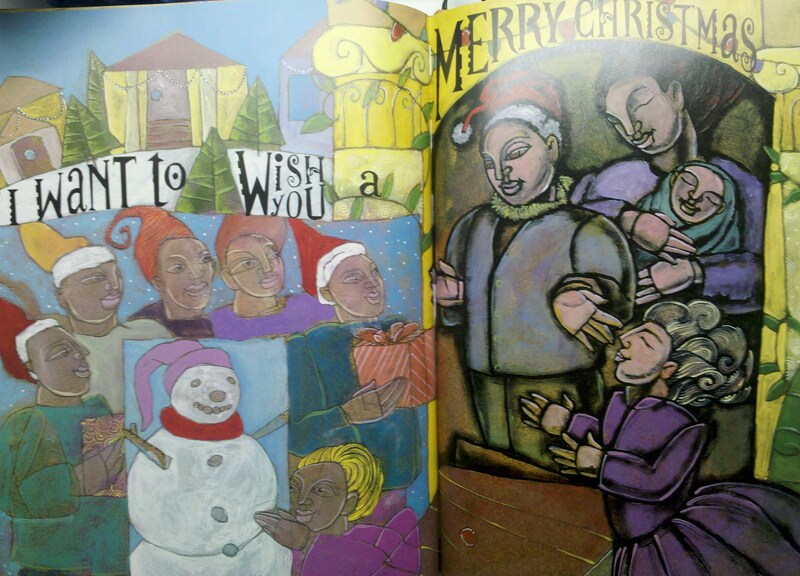 The book was very colorful and festive, which is appropriate for such an upbeat Christmas song. This entry was posted in Ages 4-6, Ages 6-8, Book Review, Children's Book, Holidays, Picture Book and tagged Book Review, Christmas, David Diaz, Grammy Award, José Feliciano, José Feliciano's Feliz Navidad, picture book, postaday2011, video, YouTube.